More and more often I hear newly engaged brides-to-be talking about how they don’t want a wedding designer, planner or coordinator and they want to do it themselves. 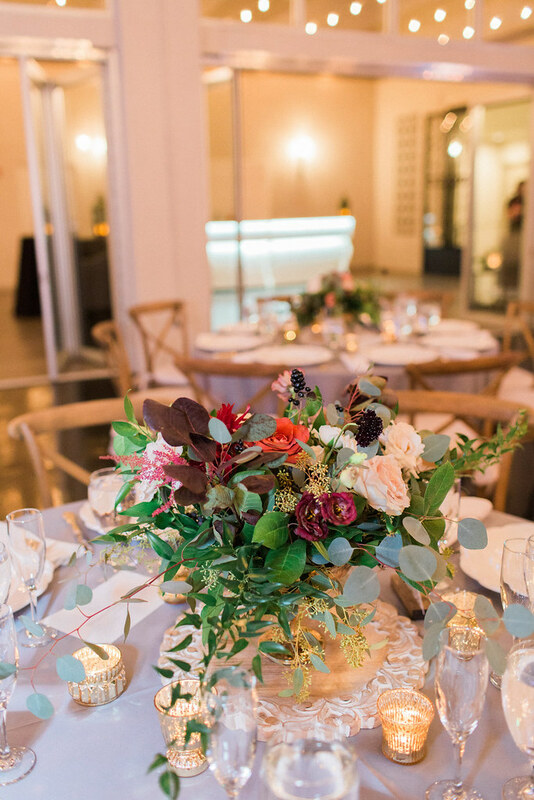 Here is where I think there is a HUGE misconception about wedding coordinators – we WANT you to plan it. This is your day! A wedding coordinator should not be someone handing you a pre-planned wedding – weddings are not one-size fits all. A wedding coordinator is someone to take your dreams and desires for your wedding day and helps bring your dreams into a reality. It’s having someone there who knows the vendors to contact, someone to ask your big and little questions, it’s really all about taking the stress off of the couple through suggestions, recommendations and best practices. You get to shape the day to your desire. For example, you can scroll through Wedding Wire and look through PAGES of DJs and photographers, but wouldn’t it be great if someone could give you a short-list of tried-and-true and really professional options? That’s one of the many great services a coordinator can provide! Pinterest has given brides an incredible tool for wedding design/planning and it’s a great place to look for inspiration. There are so many great resources a bride can use for planning guidance, but the only one that is tailored to your wedding is a coordinator. As a wedding coordinator, I promise we are not looking to take away the experience of you planning your wedding, we just want to make it a stress-free process from early discussion through day-of! 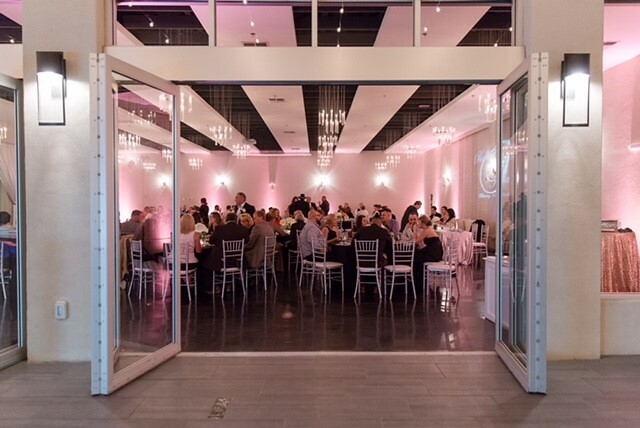 Looking for a modern, unique venue? Look no further than SoHo63 in downtown Chandler! This area is the perfect location (easily accessible, near hotels and in a fun downtown atmosphere with multiple restaurants and activates). Here are just some of the reasons we love SoHo63; the spaces, the décor possibilities and their extra ordinary team. Inclusions include AV equipment (projectors and screens (you bring laptop/media)), large satin draping, door man and more. 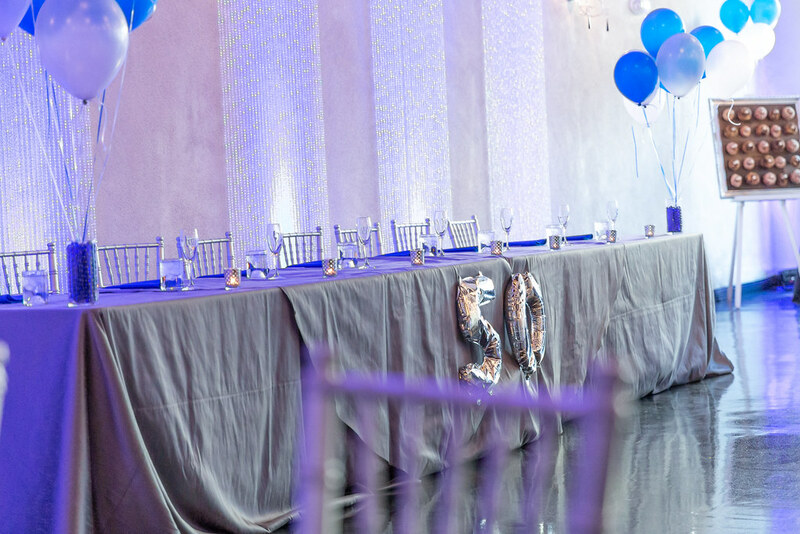 SoHo63 has four event spaces – Brix on Boston, the Plaza, Gramercy Ballroom and the Terrace, two with complete AV packages included. Brix on Boston is fun space featuring huge windows looking out onto Boston St. with exposed historic brick and original ceiling tiles. With the book shelves and leather couches and cozy furniture, this is the perfect space for a cocktail hour or bridal shower and is also a super fun spot for photos. 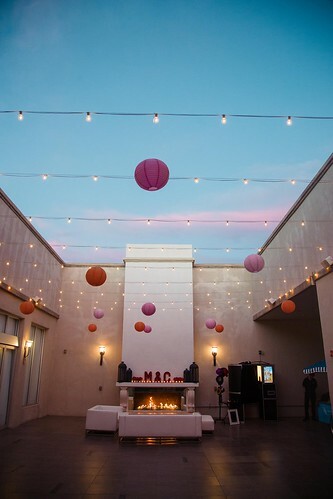 The Plaza is a stunning ceremony spot featuring a crystal beaded screen and a nearly 100 hand lit candle wall – this backdrop is sure to wow your guests. Gramercy Ballroom is the main ballroom space and features beautiful, modern crystal chandeliers, a stunning, reflective black floor and large glass doors opening up onto the Terrace. Just think of your wedding reception in this room with easy flow back and forth onto the beautiful outdoor space. The Terrace can be used as your ceremony space and as part of your reception. The enormous marble and gas fireplace and dimmable bistro lighting provides a romantic atmosphere for the whole evening! One of the best things about these spaces is that you never feel boxed in. 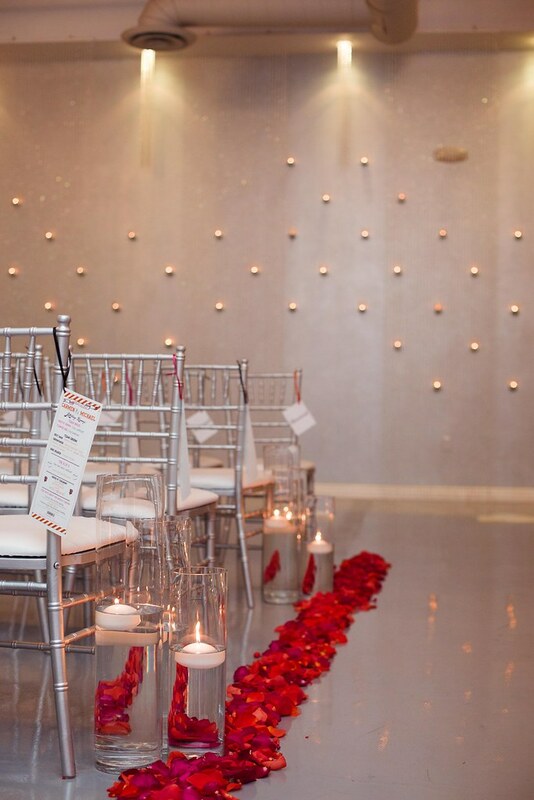 Each space compliments the others and has a natural flow that will make your entire event feel open and spacious. There are endless possibilities for any décor concepts at SoHo63. The wonderful thing about the various rooms is that they can be customized to fit any theme and any color scheme. The existing décor is stunning by itself but can also be subtle enough allowing you to design the space to fit your dream. No two weddings in this space are ever the same. 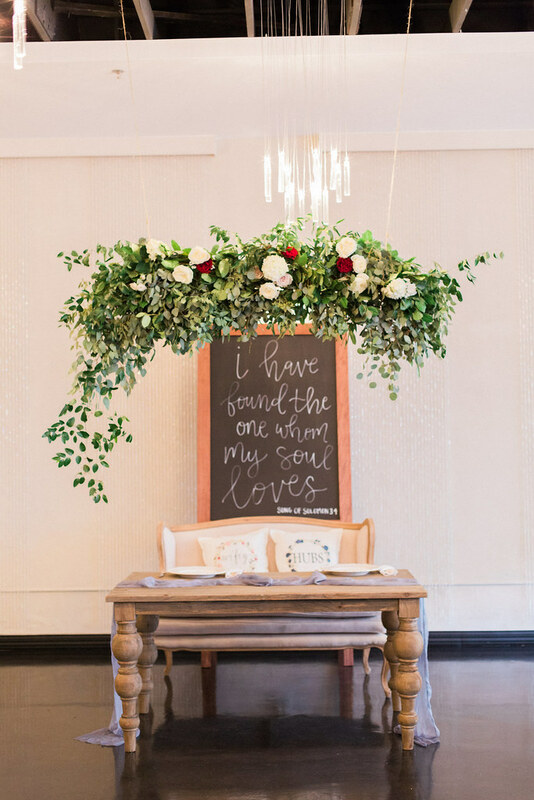 We have never seen a theme or color scheme not work in this versatile space! Megan and her team at SoHo63 really go above and beyond to make your day special. 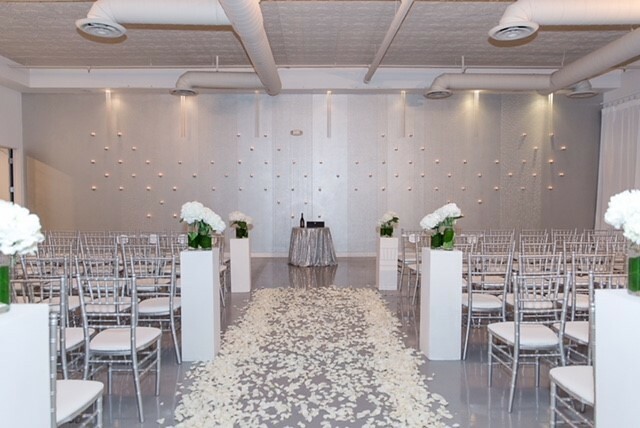 As one of the most responsive and responsible teams in town, they are with you from the first walk-through to your wedding day and will feel like close friends by the time you say ‘I do!’ They are professional, knowledgeable and just a ton of fun to be around. If you aren’t already sold on the space, the team will win you over! From the Desk of Desirae: Be a Wise Bride! As I planned my own wedding, many of my vendors did not know that I’m a wedding planner. So I was really able to see what my brides are experiencing as they learn more about vendors and their services and practices. And here is the biggest thing I want to share with fellow brides based what I saw when I was in your shoes: Don’t just go with everything a vendor tells you. Ask questions. If something doesn’t seem right, bring it up! If you’ve already hired a day-of coordinator, ask their opinion. 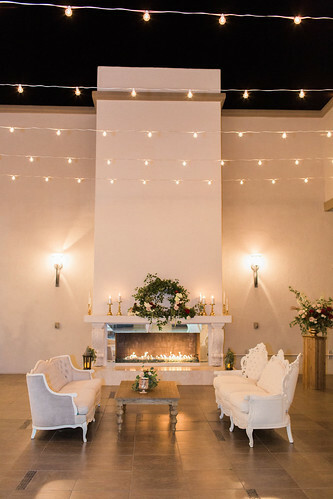 Here’s what happened for me: We were renting chairs for our reception and selected a rental company that seemed reasonably priced. When I went to pay our deposit I wanted them to update the pick-up time (they had it at 6:00 PM on wedding day – um. NO!, big conflict with my ceremony and reception). So when I asked them to pick it up after the reception they said there would be a late night pick-up fee, but if we could work with the venue to have it picked up the next morning they would remove that fee. So we went to our venue and worked it out so that the rentals could be picked up Sunday morning. Perfect, right? NOPE. When we went to update the invoice to remove the fee and pay our final payment they said not only was Sunday still considered an after-hours pick-up, but they also needed to charge us a Sunday pick-up fee. BRIDES, this is when you need to stand up for yourself! If you didn’t originally agree to it or fees keep being added and they aren’t being clear, bring it up. Express your frustration and see if they will discount the fee for you. The worst they will do is say no. I was able to get myself a discount by doing just that. Give it a shot, don’t be afraid to negotiate! 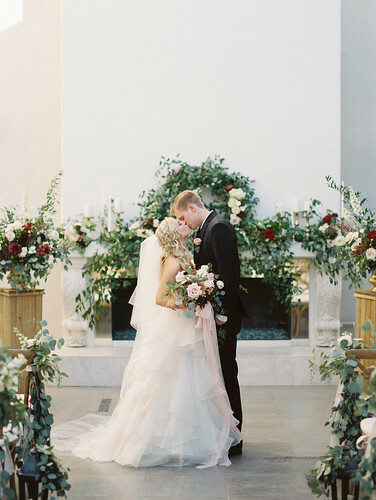 Posted in Blog | Comments Off on From the Desk of Desirae: Be a Wise Bride! We had the absolute honor of working with an incredible family to plan a 50th Motown themed Birthday Bash. This family was an absolute dream to work with and we had so much fun seeing them relax and enjoy the party with their family and friends. 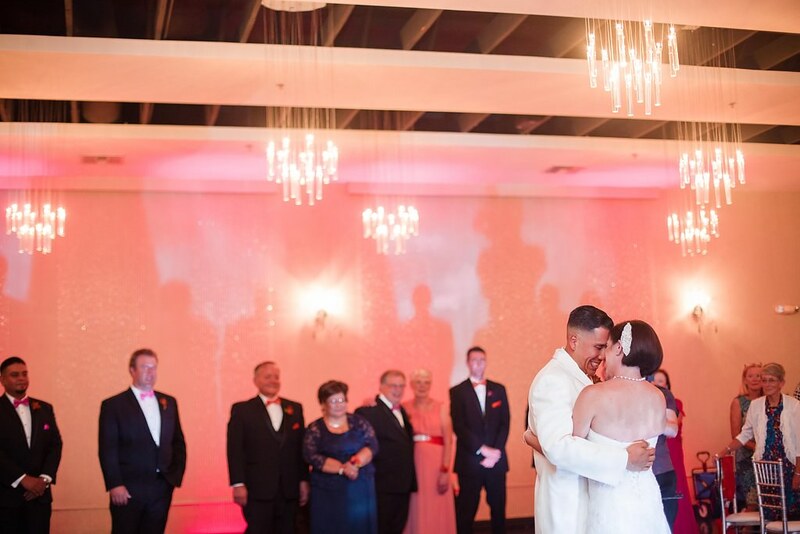 The dance floor was never empty and you could absolutely feel the love they all shared for the guest of honor. 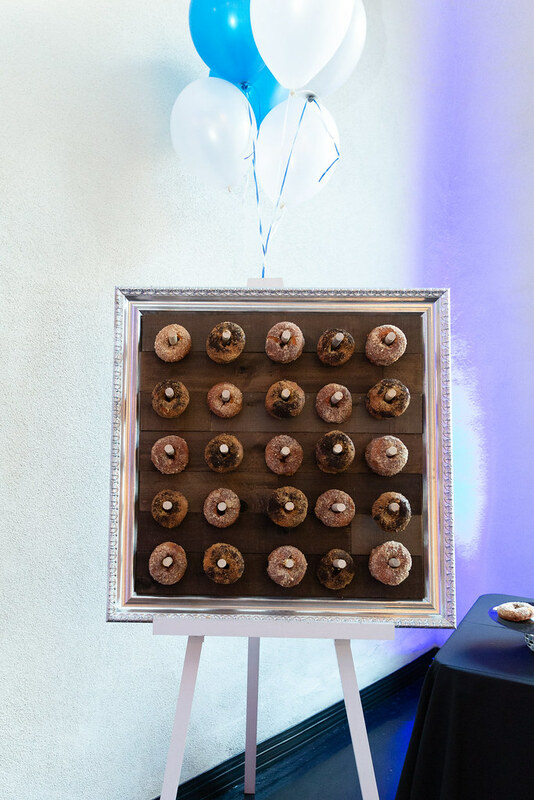 Some of our favorite details included the custom record guest book, the donut wall with personalized flavors and the custom centerpieces. 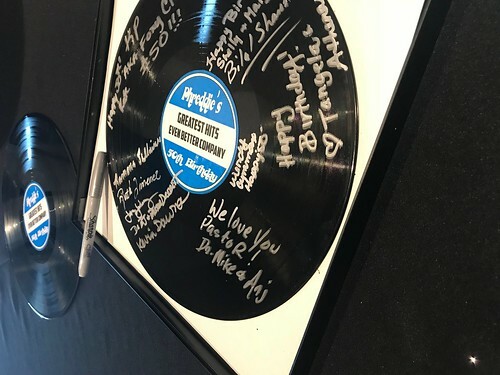 The details were stunning, but the guests made the night unforgettable – from costumes to dancing this was a night we know our team won’t soon be forgetting! This was my first time using a party planner. Going forward, I will always use one. 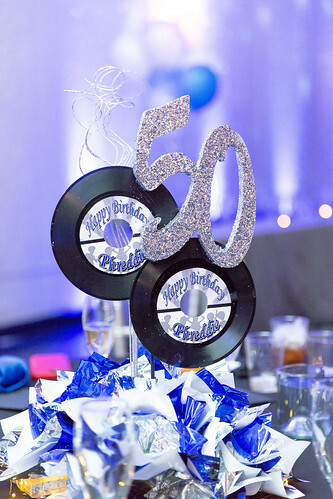 I worked with Molly & Desirae from Kate & Company and I couldn’t be happier with the care, time and attention that was given to me and my family for my husband’s 50th Birthday Party. I had a vision of what I wanted and the team helped my vision become a reality! Very grateful for the professionalism and attention to detail. Thank you Molly & Desirae!!! 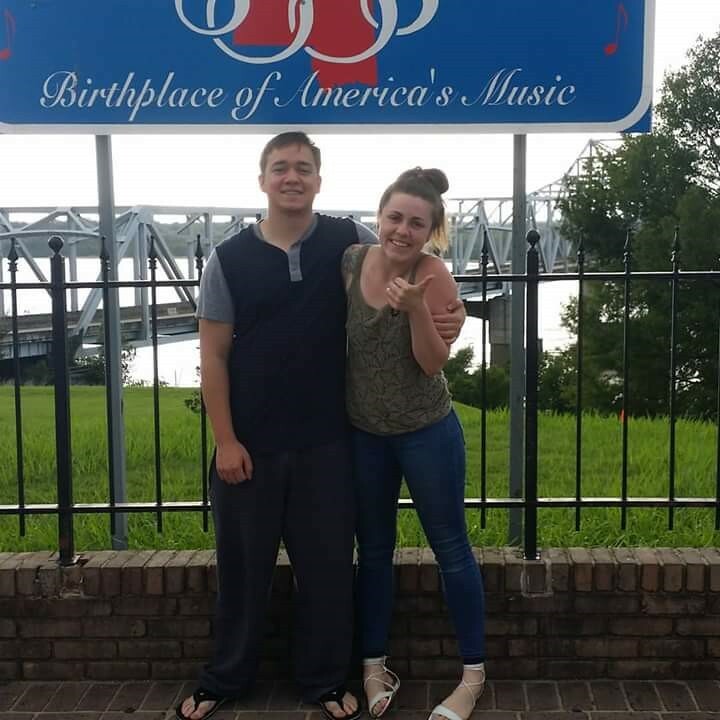 Native to Arizona, Skye has spent time with her family as a mid-Westerner and also in Mississippi, Virginia, and North Carolina. She has come “home”, returning to Arizona recently with her husband and beloved pet, a Jack Russell Terrier. 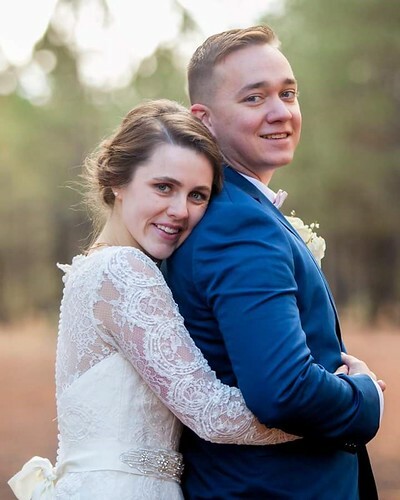 While interested in elementary education and business management Skye presently enjoys the “hands-on” approach and creativity with wedding and event planning at Kate & Company. Skye loves family, friends (well actually everybody), her faith, being creative and she embraces the adventures that life brings her way. 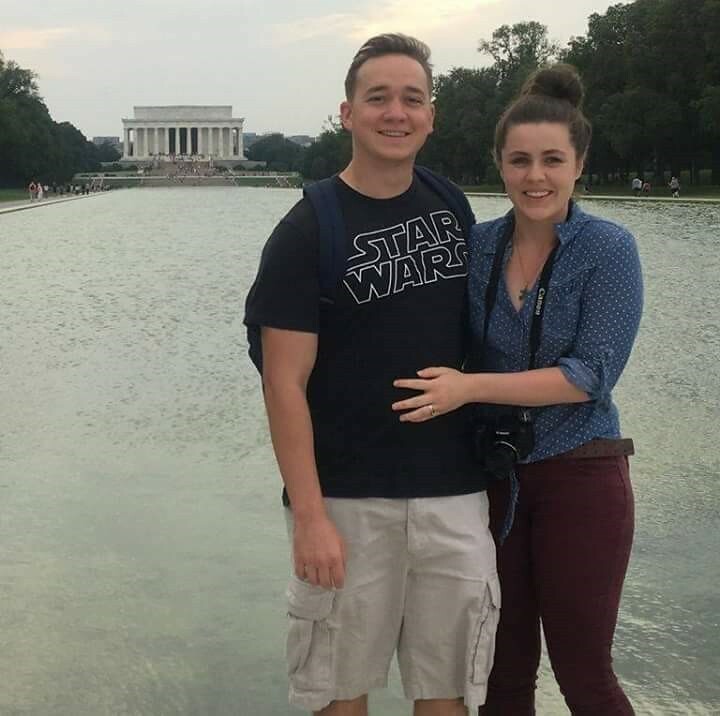 She has been able to focus on her lifelong dream of becoming an Event Planner over the past few years and hopes to continue working toward her dream career. She hopes that with each of her events she is able to bring as much happiness to clients and guests as her passion brings to her. 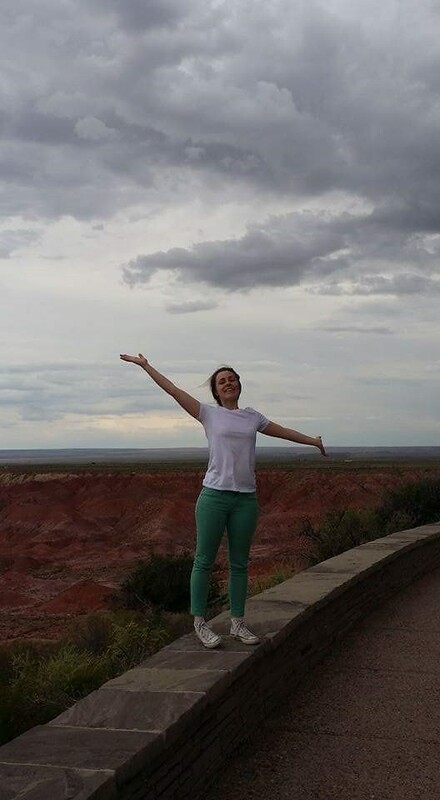 Skye is our newest Kate & Co. team member, when she isn’t busy with events she likes being active outdoors, anything crafty and being with the ones she loves. What is your current favorite wedding trend? 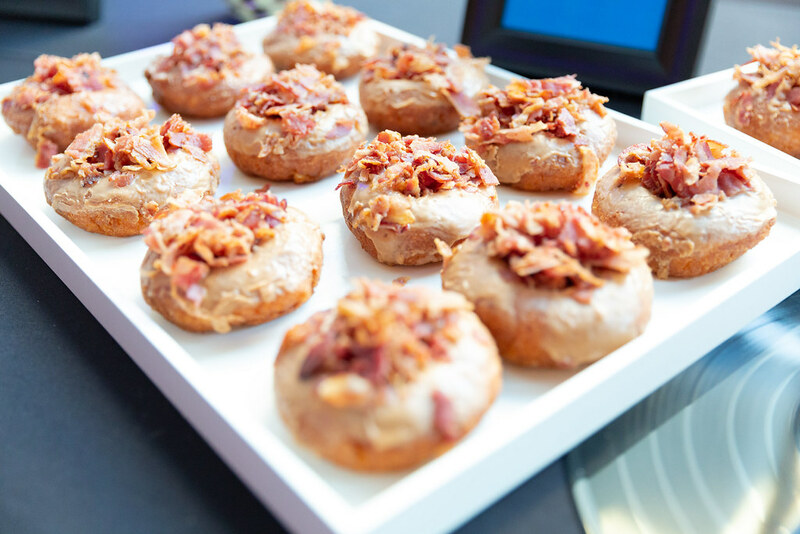 There are so many to choose from, but I think that having unique food options is one of my current favorite wedding trends. Along with that being said I also love how people are going back to the tradition and formality of weddings. Kind of contradicts each other but hey, it works! What is the biggest piece of advice you would give a couple planning their wedding? Don’t sweat the small things that can go wrong, they can always be fixed. In the end you are marrying the love of your life. What is your favorite part of weddings? May sound cheesy, but my favorite part of the wedding is the reaction of the bride and groom (mostly groom) have when they first see each other on their wedding day. Whether it be a first look or just seeing each other as the bride walks down the aisle it never fails to be my favorite moment. Favorite season for a wedding? I would have to say Autumn. This is just because it is my favorite time of year in general. Spring is a close second for my favorite wedding season. I wanted to work in the wedding industry because I love people and making people happy. It is what brings joy to my life. Also, because a wedding involves so many of the things in life I enjoy to do. 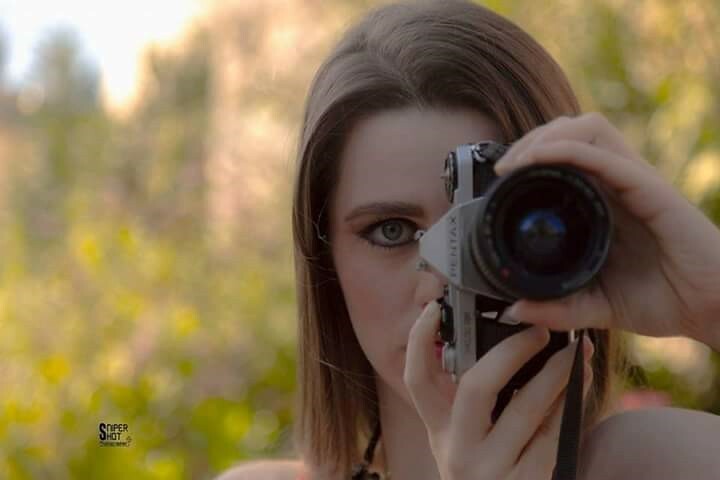 From the food, to being creative, the photography and helping people with the happiest day of their life. What is your favorite “wow factor” décor item? (i.e. lighting, florals, specialty linen, etc.)? What is your current favorite wedding color pallet? How can you choose just one?! I think it depends on the day and the wedding and the location. Do you prefer a first look or for the couple to see each other for the first time at the ceremony? I prefer the couples to have their first look at the ceremony. Although, I think the first look before is cute and sweet, keeping with traditions and what I have always known, at the ceremony is my preference. I do not think I have ever had a favorite, but Grace Kelly was STUNNING! Favorite flower hands down in a sunflower. For a wedding I love sunflowers but I also love anything pastel with a lot of greenery! Especially peonies, baby breath (or lily of the valley for something a little more large). And not a big fan of roses. Favorite wedding movie? Favorite movie? Favorite Movie – it is a tie between The Wedding Planner, The Proposal well how can you choose? They are all great. But those two are most definitely a top two. And as far as favorite movie it depends on the genre. I just love movies! Nicholas Sparks and Thriller Movies! Real-estate agent, Just because that is what my mom did and I wanted to do everything she did. As a bride planning her wedding, there are so many things to do, visions to plan, vendors to secure. Once your vision is in place (and your budget), the vendors you secure are those that are going to make your day seamless. Your DJ is going to make or break your reception. Please deeply consider hiring a professional wedding DJ, as your wedding Emcee, this person will keep your celebration not only on track but also create the tone for your wonderful evening. I have experienced brides having a friend or a friend of a friend who may be a part time DJ and secured for a discounted rate, and while the music is good, the Emceeing and taking the lead of the event has often fallen by the wayside. A high profile athlete wedding who was flying in a friend who was a DJ that he liked – didn’t know anything about a Grand Entrance, while the music was fine, this guy completely ignored the timeline with all the dances, speeches etc. It was a party, but all the traditional things went flat, thus all the photo opportunities just didn’t pop like a bride dreams of. Hungry guest….well how about no DJ/Emcee announcement following the Grand Entrance but this: “Table 1 is released, Table 2”. No one knew what they were released for or where to go. Your DJ is a key vendor for a smooth flowing successful ceremony and reception. While you are paying for his/her services, don’t forget to provide a gratuity to them as well. Ask your wedding planner about appropriate gratuities for specific vendors, while these are never expected, they are much appreciated. When it comes to the edible luxuries you will be enjoying on your honeymoon, each dining experience should be better than the next. Professional, culinary experts are what sets certain honeymoon all-inclusive dining options apart from all the rest. Each Sandal’s all-inclusive resort has their own Culinary Concierge, who will easily blow you away. With special, one-on-one treatment for all dietary needs, this service is a step above to ensure a time you will always remember. All special requests are always handled with care, with the choice to even request new or different dishes, to suit your dietary restrictions or lifestyle. While there are multiple Caribbean and Jamaican options, Sandal’s prides themselves with hiring international chefs for each restaurant concept. Thinking about cruising around the Caribbean or Mexico instead? The esteemed chefs who make up Carnival Cruise lines culinary team, are specially trained to accommodate every special dietary need. They know and understand the importance of getting your requests right. These services are included in the all-inclusive lifestyle of the Carnival Cruise fleet. A honeymoon is going to be a dream of a lifetime. Making sure the meals suit desired dietary needs is always a challenging task. Customizable amenities and meals have always added the extra special touch to an already fantastic honeymoon experience. Enjoy a stress-free, pampering experience that allows relaxation and comfort beyond imagination! Perfect for a Meat-Eater, Vegetarian, Vegan or other special dietary needs, Sandal’s and Carnival always strive for exceptional service. Don’t be afraid to ask! When you are ready to start planning your honeymoon, the knowledgeable team of Kate & Company awaits your call at 480-403-4611. Learn more about all the wonderful choices, and design a custom honeymoon that caters to all of your expectations and dietary desires! Au revoir!